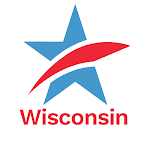 Four nonpartisan, non-profit Wisconsin advocacy organizations have sent this letter to Governor Scott Walker today, urging that he appoint a replacement to the Wisconsin Supreme Court – created by the unexpected death of Justice Patrick Crooks last week – who is not a current candidate for election to the state's highest court in 2016. Common Cause in Wisconsin, the League of Women Voters of Wisconsin, the Wisconsin Democracy Campaign and Wisconsin Voices contend that the appointment of a current, declared candidate for the State Supreme Court by Governor Walker would unnecessarily heighten political partisanship, polarization and increased divisiveness on a court that already is currently experiencing an unprecedented low level of citizen confidence. Reform Groups Urge Gov. Walker to Appoint an Interim, Non-Declared Candidate to fill State Supreme Court VacancyTweet this!